At 150 to 500 feet deep, this region is too deep to safely reach using conventional scuba, but thought too shallow to justify the use of expensive submersibles. 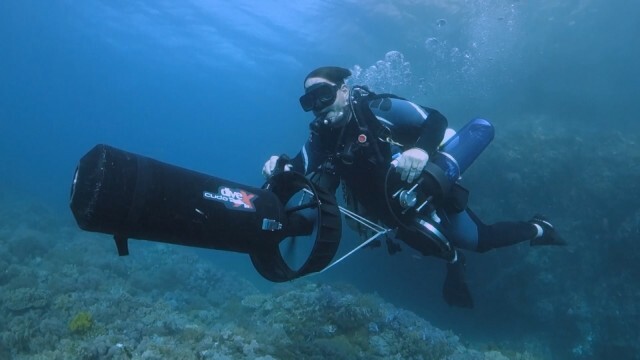 But with recent advances in diving methods and technology, such as closed-circuit rebreathers, mixed gases and propelled scooters, trained divers can now venture into these deeper reefs. Recently a team from the California Academy of Sciences made up of Shepherd, diving safety officer Elliott Jessup, and ichthyologist Luiz Rocha, began to explore this mysterious place. Using a specially designed fish-decompression chamber, Steinhart Aquarium biologist Richard Ross brings live specimens from the twilight zone up to the surface. Courtesy California Academy of Sciences. 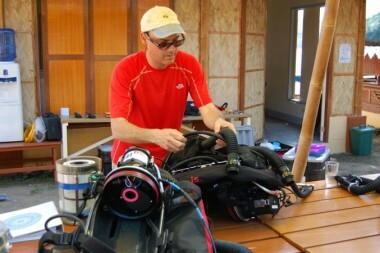 According to Shepherd, the divers must slowly ascend from the twilight zone, systematically stopping at depth intervals, to avoid contracting the bends. Each time they dive, the researchers are seeing and discovering places and things never before seen by human eyes. It’s been estimated that these scientists are discovering nearly a dozen new species per hour in the twilight zone. In May 2014, the twilight zone dive team was part of a large, month-long expedition to the Philippines. Researchers from all over the world joined Academy scientists to study the Verde Island Passage. 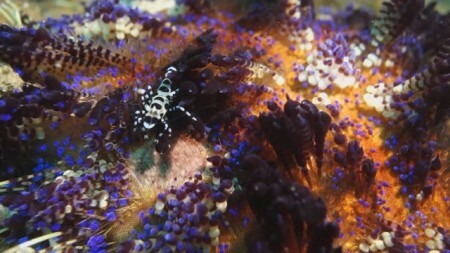 This relatively small area of the ocean south of Manila has been referred to as the “center of the center or marine biodiversity.” In fact, it is thought that more unique species live there than on the entire Great Barrier Reef. The scientists, along with fishery managers in the Philippines, want to better understand why this region is so unique and resilient. The Verde Island Passage in the Philippines is considered the “Center of the Center” of marine biodiversity. Courtesy California Academy of Sciences. Scientists from the California Academy of Sciences have been studying the Philippine marine environment and documenting their findings for 20 years. They have found huge numbers of reef fishes, corals and other marine species. “It just seems like that spot has more types of animals living in these really, really rich and dynamic communities than anywhere else on the planet,” he said.